Windsor Park Contact Team – Serving Windsor Park homeowners, renters and businesses as stewards of the neighborhood plan. Please join your neighbors for the February meeting of the Windsor Park Neighborhood Plan Contact Team. The contact team will be discussing a proposed development, The Berkman Terraces, at 6203 and 6207 Berkman Drive. The owners recently acquired the 1.3 acres of undeveloped land, and are seeking a zoning change to construct a Mixed Use Development with residential and retail space. We will also discuss the third rendition of the CodeNext draft, and the implications for Windsor Park. I hope many of you can come out to our discussion of the second draft of the CodeNext draft for Windsor Park. The contact team will be discussing the draft and potentially voting on recommendations to the city. My understanding is that in November, the Neighborhood Association will also be discussing the draft and any comments that the contact team submits. Hart Elementary School, 8301 Furness DriveJoin us for the third of six CodeNEXT Community Open Houses! At our open house, the CodeNEXT team will share information about CodeNEXT, the rewrite of the City of Austin’s complex and outdated land development code. See the proposed zoning map, speak with code writers about changes to the code and how it affects you, and provide your feedback on the code. CodeNEXT staff will give a short presentation at 6:30pm. Light refreshments and children’s activities will be provided, and language interpretation services will be available in Vietnamese, Spanish, Arabic and Mandarin. Item 3 (Discussion and potential action on new re-prioritization of Capital Improvement Projects in neighborhood plan — IMPORTANT): The City of Austin has asked if we want to re-consider the priority ranking of Capital Improvement Projects called for in the Neighborhood Plan. They say we cannot add items to the list, but can re-prioritize them in light of what has transpired between the adoption of the neighborhood plan and now. Below are links to the list of items in the Capital Improvement Plan. We will review those items and potentially assign new priority rankings and also potentially ask the input from the neighborhood via the NA, email list, etc. This is a great opportunity to communicate to city staff where we want our capital improvement dollars spent in WP! CIP Project List in MSWord and PDF formats. Item 4 (Discussion and potential action on membership by-laws): I’d like to continue to discuss my proposed change to allowing membership by-right to the contact team instead of by-election for qualified members, if time permits. Item 5 (Discussion and announcements): Good time for an announcement that the new CodeNEXT maps are expected out on September 15th and we will discuss and vote on recommendations at our October meeting! Item 6 (Potential election of new members): We’d love to welcome any new members (especially renters, who are under/non represented!). I’d like to also discuss if we should bump membership elections to the front of meetings so new members can vote on items in the meeting in which they are qualified. Finally, I’d like to remind everyone that I’ve always said I would only serve two consecutive terms as chair, and those will be up in December. I look forward to remaining an active member of the contact team and neighborhood association, but I will feel good about my time as chair if we have successfully, respectfully, and productively worked through CodeNEXT and updated our bylaws. It is time for others to step up and for met to focus a bit more on my two very young children, my neglected spouse, and re-plumbing the dang stainless steel water supply lines in my house. So please think about if you’d like to step up into a leadership role and/or who you’d like to see lead us into the next phase. The Executive Committee has cancelled the July 10th meeting. Have a good week and we’ll see you next week. Item 2: See the draft minutes below. Item 3: Mark DeLoach is a neighbor who owns an apartment complex on Wheless west of Berkman. I believe he is reopening the complex after a fire and will be hosting disabled veteran residents. He will come to talk to us about the project. Item 4: I did a fair amount of research into the AHA development, specifically the state 811 program and best practices for affordable housing complexes. I’ll offer a brief update on what I’ve found out. Item 5: CodeNEXT maps are out. Brian Graham will lead a discussion on what he’s learned. Those of you who were able to attend the meeting on the 25th already received some of his materials. We’ll likely focus on what we want to do as a contact team, and perhaps divvy up some tasks for better understanding what the proposals mean for Windsor Park. Item 6: There was some confusion regarding the special April 25th meeting to review the CodeNEXT maps, and whether it was an official meeting. Just to clear up any ambiguity, I will be proposing that anyone who attended that meeting will have it counted towards their attendance for the purpose of maintaining an active membership, but that those who did not attend will not have it counted against their attendance. Item 7: More rules discussion. This meeting I’d like to discuss our requirements for attendance. Secretary Rodney Ahart will discuss our current attendance records. I think we’re going to either start enforcing our attendance requirements or change them – we’ve been lax for a while and I don’t think that’s good for the body. Item 8: Hopefully we’ll have more folks interested in joining the team! Also a reminder that Brian Graham and I will be presenting information on CodeNEXT to the WPNA meeting on May 13th. PRESENT: Brian Graham, Scooter Cheatham, Steve Speir, Margi Bienemann, David E. Golden, Nadia Kahn, Elaine Bohls-Graham, Margaret Dahl, Lane Hicks, Ami Davis, Arthur Turner and Rodney Ahart. After determining a quorum was present, Scooter Cheatham, vice chair of the WPNPCT, convened the meeting. Minutes from the 3-13-17 meeting were distributed and reviewed. Margi Bienemann moved to approve minutes as presented. Lane Hicks seconded. Brian Graham briefed the team on the latest CodeNEXT happenings. The draft zoning categories have been released and the maps illustrating the changes are scheduled for release April 18. The contact team will be holding a special called meeting Tuesday, April 25, to review the maps. The group discussed options for reviewing the new code. Several members stated more information was needed to better understand what the zoning changes mean, particularly for Windsor Park. Concerns were raised about the potential impacts of up-zoning to the traditional residential nature of the neighborhood. Moreover, Mayor Adler’s Housing Initiative hopes to achieve 135,000 affordable housing units in the City of Austin over the next ten years. Margaret Dahl discussed her recent conversation with the City of Austin Economic Development Department. She would like for the city to assist with recruiting more restaurants and cafes to our area, and support the two businesses, Odelay and Cenote, currently experiencing difficulties in opening their establishments. Nadia Khan discussed a pending storage facility being built on the corner of 53rd Street and IH-35. She would like to see more neighborhood friendly development targeted for the east side of IH-35 along Cameron Road. Scooter Cheatham polled the guests in attendance for interest in joining the contact team. There were no guests interested in serving at this time. Elaine Bohls-Graham expressed concerns with the evacuation plans for the AHA! Property proposed for Gaston Place. Since a substantial number of the residents are differently-abled, removing the residents out of harm’s way in a timely matter in the event of a fire could be greatly compromised with the existing three story layout of the property. Margi Bienemann made a motion to adjourn; the motion was seconded by Ami Davis. This may be a shorter meeting due to the light agenda. However, the CodeNEXT zoning maps are being released on April 18th, so the contact team is having a special meeting at the library on Tuesday, April 25th at 6:30PM – in which we will take no action – to review the maps and have a discussion about CodeNEXT. Any who are interested are welcome to come! Also note that we do not have the Briarcliff AHA development on the agenda because there is no new information at this time – AHA is working on our feedback and will be circulating revised plans soon – probably to be discussed at the May meeting. PRESENT: Conor Kenney, Brian Graham, Scooter Cheatham, Steve Speir, Margi Bienemann, David E. Golden, Walter Olenick, Nadia Kahn, Elaine Bohls-Graham, Margaret Dahl, Lane Hicks, and Rodney Ahart. GUESTS: Aaron Crellhaus, Kristi Black, Isaiah Tibbs, Claire Hodgin, Judi Rockman, Rick Krivoniak, Mohan Rao, Terry Jungman, Rebecca Holliday, Kara Kriegshauser, Gloria & Greg Neunaber, Meg Brooks, Sheryl Cheatham, Brandi Soules, Corey Ferguson, and Jeanette Swenson. After determining a quorum was present, Conor Kenney, chair of the WPNPCT, convened the meeting. Minutes from the 2-13-17 meeting were distributed and reviewed. Elaine Bohls-Graham moved to approve minutes as presented. David E. Golden seconded. Minutes approved. Conor Kenney briefed the contact team on his conversation with Stephanie Thomas, executive director for Accessible Housing Austin! (AHA) after their presentation on the proposed 1920 Gaston Place Drive development at the last contact team meeting. Thomas expressed her organization’s desire to move forward with the 27 unit design proposal, and to seek specific suggestions from Windsor Park residents on how to improve the project. Overall suggestions expressed by the contact team members and residents included: a more forward facing design to facilitate integration with Leisure Time Village and the surrounding neighborhood; on-site wrap around services for the residents; a Complete Streets focus to install significant landscaping and sidewalk improvements; and an overall more attractive residential aesthetic. The sentiment was to create a residential development the tenants would be proud to call home, and that could serve as a model for a successful high-quality affordable housing complex. Several concerns stated by attendees with the existing design included: the increase in impervious cover when several residences near the proposed site have recently been added to the flood plain, adding a third story would further separate the project from the surrounding community, and locating the project in an area of town where crime is high and there is already a high concentration of low income housing. Conor recognized Isaiah Tibbs to discuss his proposed subdivision and re-zoning of a lot in Windsor Park. Isaiah Tibbs, and his business partner, Kristi Black, recently purchased a residential lot located at 2901 Wheless Lane. The lot contains one house and is zoned SF-3. 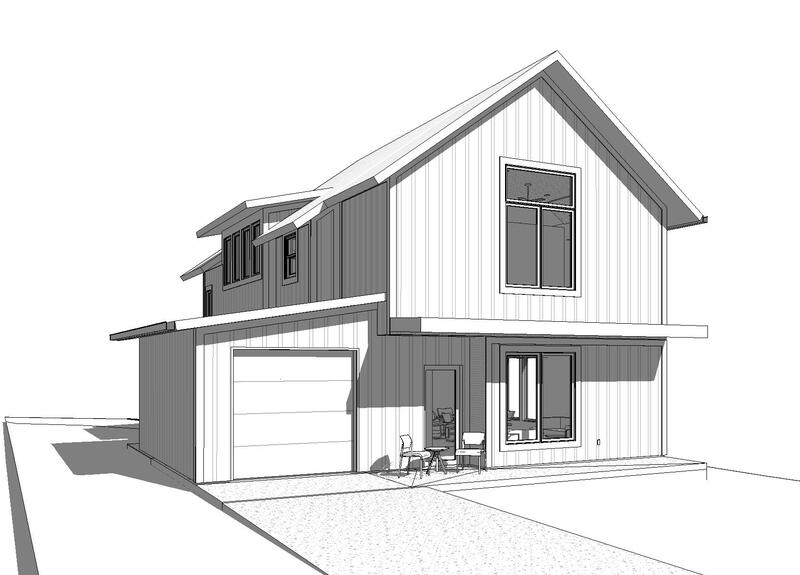 Under current zoning guidelines, Tibbs could subdivide the lot into three SF-3 lots and build three duplexes. However, he would like to divide the lot into six cottage lots and build six smaller homes. To address concerns raised, Tibbs agreed to construct the driveways to preserve the existing trees, to install sidewalks, and to mitigate parking within the site. Brian Graham moved to approve the subdivision and rezone of the lot at Wheless Lane to six individual cottage lots. Lane Hicks seconded the motion. The motion passed by a vote of 10 yes, 0 no, and 2 abstentions. Brian Graham distributed several handouts regarding CodeNEXT. The draft zoning categories have been released and the maps illustrating the changes are scheduled for release April 18. Brian Graham suggested we postpone the next regularly scheduled contact team meeting until after the maps have been released. Conor Kenney suggested we maintain the April 10 scheduled meeting to discuss regular contact team business, but select an additional date for a separate meeting specifically for CodeNEXT. A consensus was reached on the date of Tuesday, April 25. Rodney Ahart announced the Windsor Park Beautification Committee Cameron Road Cleanup taking place Saturday, March 18, 8 AM to 10 AM. Contact team members were encouraged to participate. Brian Graham made a motion to adjourn; the motion was seconded by Scooter Cheatham. Meeting adjourned. Proposed subdivision and re-zoning of lot at 2501 Wheless. 2. February minutes: Minutes will be distributed and available on www.WindsorParkContactTeam.org as soon as they are available. 3. 1800-1900 block of Briarcliff Blvd: Accessible Housing Austin was not able to attend our March meeting. I have checked in with AHA’s executive director and they definitely heard a lot of the concerns that some neighbors have about the project. However, they expressed that they would appreciate more suggestions on the design, particularly the streetscape, including the landscaping, hardscaping, and street-facing portion of the building, so that they can incorporate and respond to that feedback in their revised site plan. 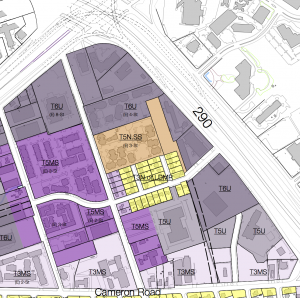 I think we can wait to have a discussion on whether or not the contact team wants to formally support or oppose their site plan revision until they have an actual proposed site plan drafted. In order to give AHA the opportunity to respond to neighborhood input, this will be a feedback session in which we will gather suggestions/concerns to share with AHA and the neighborhood at large. Currently, the Wheless-Briarcliff intersection is extremely wide due to the angle of the intersection, making it very unsafe to cross for pedestrians, especially kids walking home from nearby Harris Elementary. We could pour a new curb to fill-in a triangle of the intersection and make it a true “T” intersection of standard size. The filled-in triangle could become a small pocket park. The sidewalk by the MBC dumpster needs to be re-poured and the dumpster moved so the sidewalk is passable (I have discussed with the owners and they are supportive). The four-way intersection at Wheless-Briarcliff-Westminster-Gaston (in front of the service station) is not ADA accessible (it has no wheelchair ramps) and the slip lanes allowing yield right turns are unsafe for pedestrians (the elementary school is on one corner) and in violation of current Austin design standards. The curbs could be cut for ramps and the slip lanes filled in to allow planting of a tree with a high canopy and some low landscaping (such as at the Berkman – 290 median). This would still allow a left-turn and straight/right-turn lane for each road as it enters the intersection. I have discussed with AHA that they would be pouring a new sidewalk along the portion of the property they are leasing from the Austin Affordable Housing Corporation and that any site plan needs to address and improve the overgrowth from the high shrubs along the other portion of the property. AHA is interested in joining with Windsor Park on a Neighborhood Partnership Program, including integrating their site plan with the overall vision for the block and potentially providing part of the neighborhood match through landscaping and irrigation for a pocket park at Wheless and Briarcliff. In summary, we will be collecting feedback for the block both for the NPP proposal and for AHA to try to address in their revised site plan. 4. Proposed subdivision and re-zoning of lot at 2501 Wheless: Isaiah Tibbs, a local small-scale developer, has approached the team to seek support for subdividing and re-zoning the lot at 2501 Wheless (map), which he has purchased. 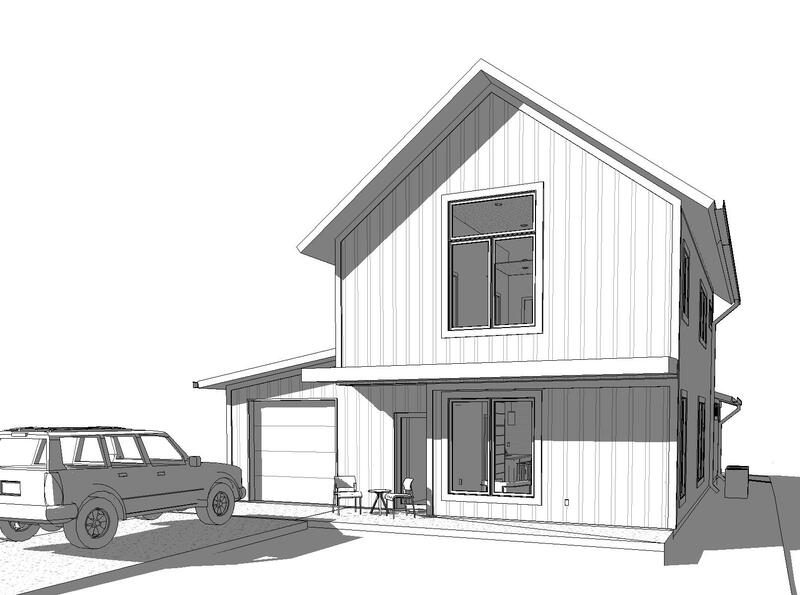 The lot is currently very large, contains one house, and is zoned Single Family-3 (current lot survey). Mr. Tibbs states that he believes he could obtain a subdivision into three SF-3 lots, which would allow him to build three duplexes. However, he wishes instead for the contact team to support a subdivision into six smaller lots to be zoned as cottage lots with six smaller homes (proposed subdivision). He states that the homes would be similar to one he just built on 52nd st. (rendering one and two). It is my hope that we can come to a decision in just one meeting on this one – it’s a pretty simple proposal. Mr. Tibbs will be in attendance at the meeting. 5. Ongoing bylaws discussion: I will pass out an updated summary of the bylaws that we agreed to change at the January meeting and the remaining decision points. We can discuss and hopefully take final votes in April. 6. CodeNEXT: Draft zoning categories have been released and the maps showing us which are proposed to be applied to each property will be coming out on April 18th. We’ll have a brief discussion on the process going forward. 2. Here are the DRAFT January minutes from Secretary Ahart. Members, please bring any suggested edits to the meeting. 3. We will have Accessible Housing Austin Executive Director Isabelle Headrick and others to talk about their project at Briarcliff and Wheless. I have talked with Ms. Headrick a few times and she is very interested in getting feedback on their design with the goal of making the project an asset to the neighborhood, so bring your ideas ready. 4. WP Neighbor Rex Zgarba, who is an attorney, is going to discuss with us some research he has done on the group homes in the neighborhood and whether they are operating businesses on residentially zoned properties in violation of city code. 5. Our ongoing revision of the contact team’s bylaws. Here is the document I passed out at our last meeting that compares each section of our current bylaws to the city’s template for reference. 6. CodeNEXT is coming. I don’t want to get into a substantive discussion at this meeting because while some of the zoning categories have been released, the maps have not, so we don’t know what actual changes may be coming to any given property. I do want to briefly walk through the process of the city’s adoption over the next year+. This is going to be one of our main areas of discussion in 2017. 7. New members are always welcome! Anyone who is attending their third meeting in the last five months is eligible to put their name in for election.